During the summer of 2005, Joe Fuss of, "Raggs....To Riches," added another popular item to their S scale kit line. Called, "Telluride's Brunswick Saloon," it is named and designed after the original one in Telluride, CO. 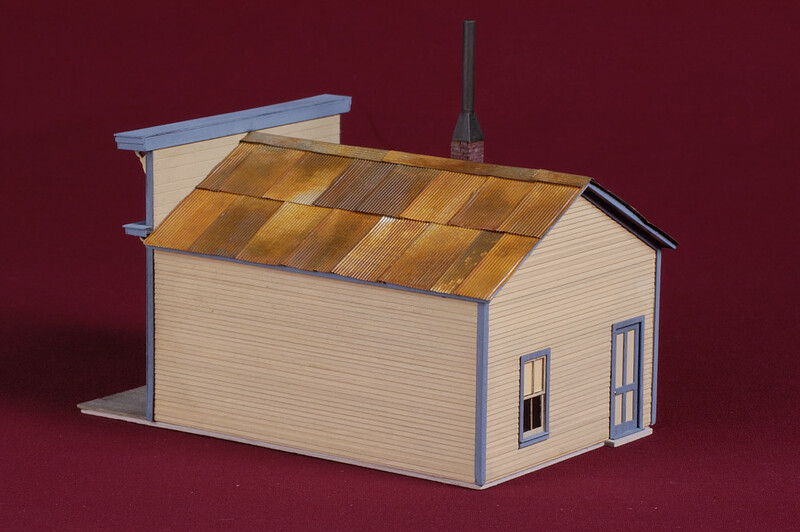 The finished building has a footprint of 3.75" x 6" and was assembled with basic tools and adhesives most modelers already have on their workbench. 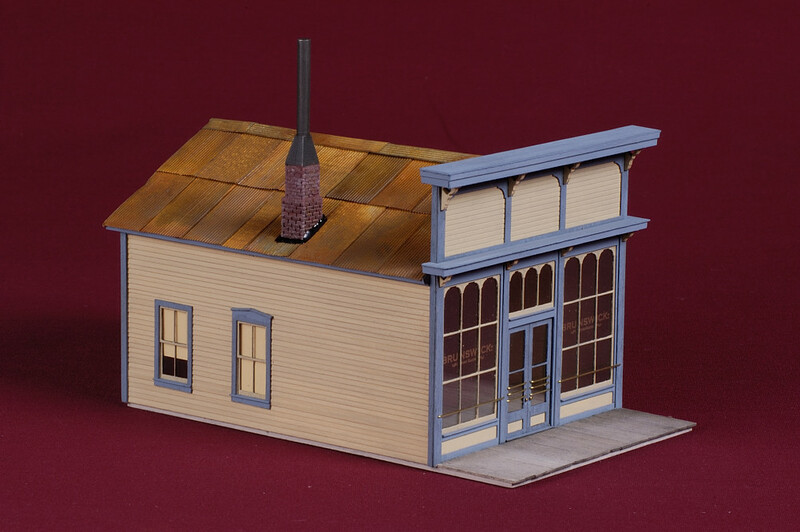 Unfortunately, the Brunswick Saloon kit is no longer in production in any scale, but may be available from modelers selling their collections or through one of the various Internet auction sites. Rather than go through the step by step details of how this kit was assembled, I'll just concentrate on some of the neat laser cut and wire details that help bring this structure to life. 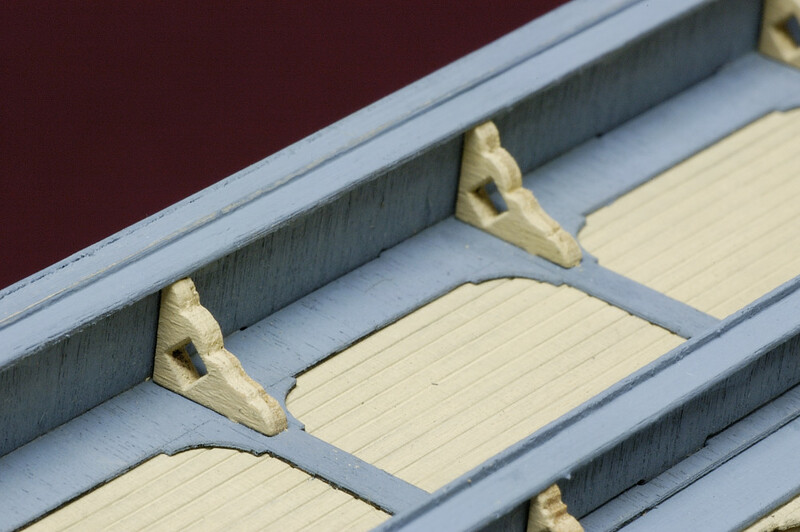 The corbels along the upper false front header boards add a neat touch to the many laser cut components. 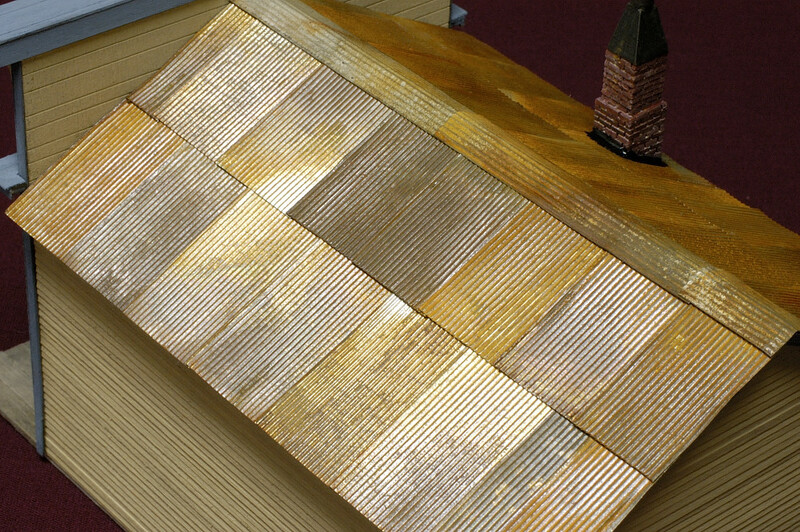 Another common practice of craftsman kits is the use of corrugated metal roofing. The metal in this kit had to be cut to a scale 3' width, then it was briefly etched with Archer's Etchant from Radio Shack to remove the shiny appearance. 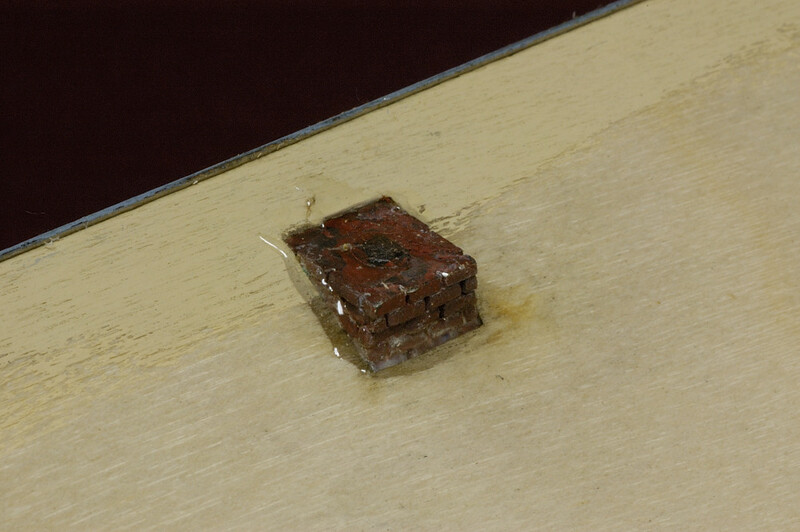 When the pieces were thoroughly rinsed and dried, they were attached to the roof panels with contact cement. When secured, the panels were carefully brush painted with a, "Sweet & Sour," solution to create the rust effect. Detailed laser cut front wall panels make up the front wall components. 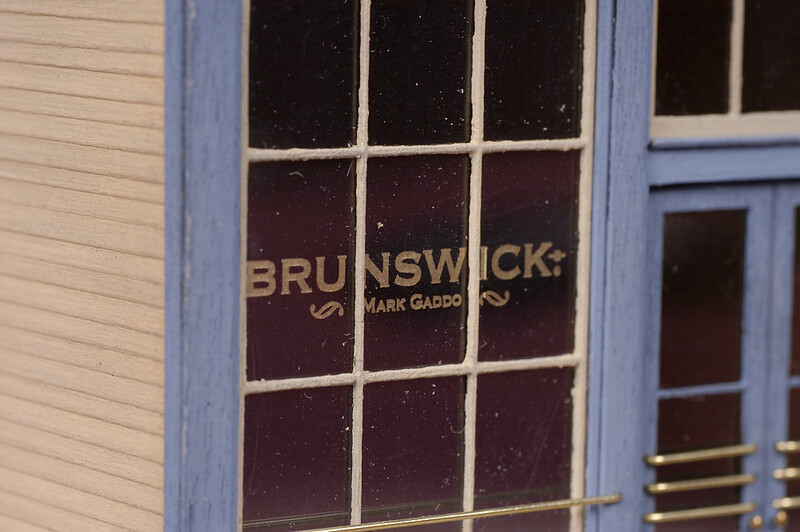 Two sets of acetate glazing material are provided, one is clear while the other is imprinted with the words, "Brunswick." Brass wire is provided and has to be bent into the proper shape for the front doors. 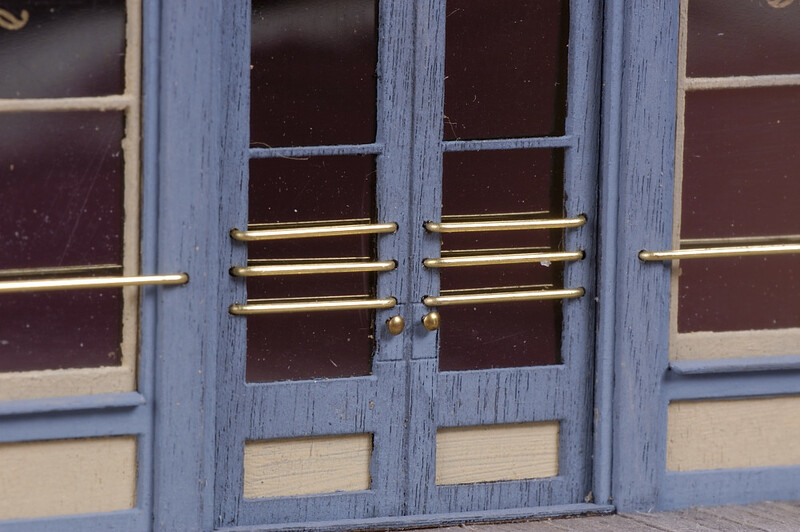 Brass pins are also provided to be used as door knobs. I forgot to add the two lock plates behind the door knobs. They were laser cut from label stock and included in the kit. You can see the plate alignment lines on the front doors. The plates could still be added and once painted a brass color would add another nice detail touch to the building. To allow the roof to be removed for interior detailing, I test fitted it first prior to adding the metal roofing. It was difficult to remove and decided to snip out the small strips of plywood forming the holes in the roof panels that butted up against the rear of the front wall. With those holes converted to slots, the roof could be easily slid into place. The metal roofing is strong enough to span this small gap and is not noticable. A metal casting of a chimney was provided and needed a little bit of clean-up with a file to remove the casting lines. It was painted with acrylic craft paints then sealed with a spray of Krylon satin finish spray to protect it. Once the metal roofing panels were secured, the hole for the chimney was opened and the casting was carefully pressed into place. Once its vertical alignment was assured, it was secured in place by dabbling "5-Minute Epoxy, around its base and the underside of the roof panel. 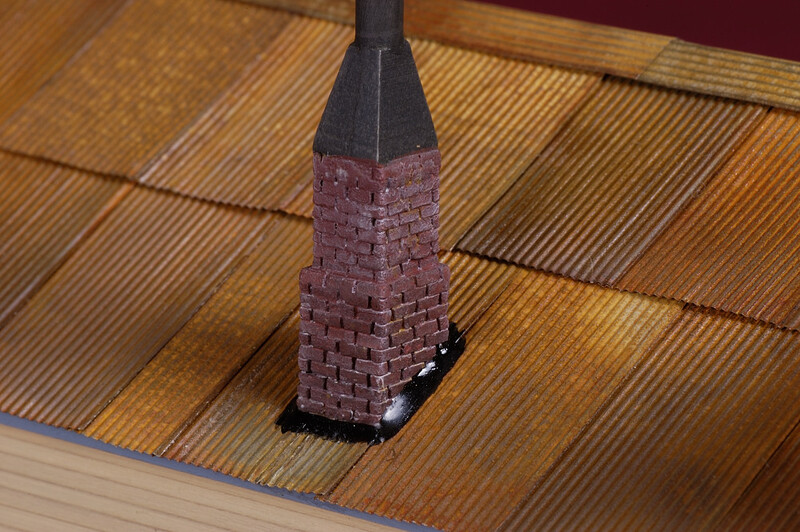 After it had hardened, the roof was installed on the building once again, more epoxy was mixed and a small amount was applied around the lower edge of the chimney and the metal roofing with a dental pick, forming a filet that, when dry and painted glossy black, looks like roofing tar. The two window units shown in this photo were assembled with both of them fully closed. 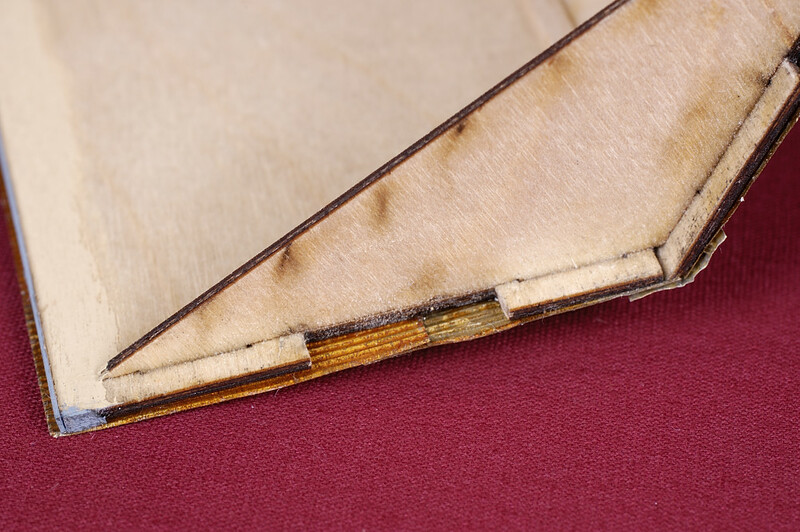 The completed sash assembly was gently inserted into the window opening, then the exterior frame was aligned and pressed against the outside surfaces of the wall and sash assembly, sticking everything in place. 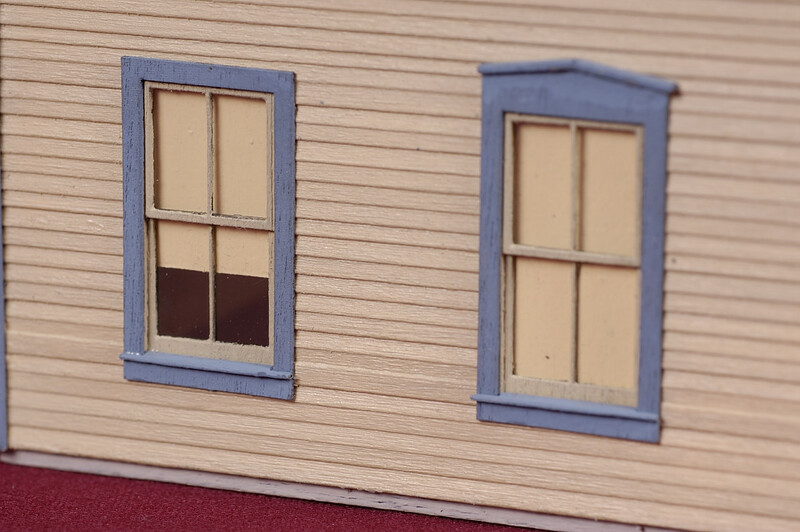 The small window sill component was installed next to finish the task. Index card stock was cut and used to represent window shades. It was painted the same color as the interior walls. Additional curtains could be simulated with tissue paper or light-weight fabric. While not the more detailed side of the building, this view shows the clean lines of the structure. All that's left to do is add some movie posters or other signs to the wall to bring it to life. can probably be completed in less than a weeks worth of pleasure packed evenings sitting at the work bench.